Serial Box brings everything that’s awesome about TV (easily digestible episodes, team written, new content every week) to what was already cool about books (well-crafted stories, talented authors, enjoyable anywhere). Like TV, we release a new episode of our serials every week and serials typically run for seasons of 10-16 weeks. Easy to pick up, episodes are enjoyable on their own but build over the course of the season to tell a bigger story. Each episode is available in ebook and audio and takes about 40 minutes to enjoy. Serialized fiction released in episodes week after week. Talented and award-winning writers collaborate on each season. Just like your favorite television shows, a team of writers gets together to collaboratively create the entire story, from plot lines to character arcs. Individual episodes are then written by the various authors, each bringing their unique voice and expertise to the finished product. Our lead writers, showrunners and editors oversee the writers room and the episodes that make it on to your small screens. In the city of drone-enforced borders, bodymod black markets, and desperate resistance movements, US peacekeeper Emma Higashi is assigned to partner with Tokyo Metropolitan Police Detective Miyako Koreda. A new kind of publishing company for a new age. While technology has rapidly evolved, the way publishers and writers bring books to readers really hasn't. Storytelling in TV has become more sophisticated and multilayered, podcasts have risen to mainstream media status—but ebooks are just books on digital devices, not easier, more fun, or more social than they were before. Serial Box is here to change all of that: artfully blending together the best of series television and the convenience of ebooks and audiobooks to bring readers a new form of story telling. Releasing fiction serials over the course of 10-16 week seasons, Serial Box is about delivering addictive episodes straight to the user’s digital device to be read or listened to anytime, anywhere. Taking a few pages from the world of television, Serial Box hires a team of a talented and award-winning writers to collaborate on each serial, pulling the best ideas to develop great characters and craft a narrative that captivates readers over the course of the season. A new ensemble of writers works on each series, so each will vary in genre and length, but they'll always be entertaining page-turners that keep you wondering what will happen in next week's episode. 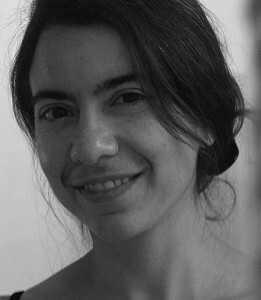 MALKA OLDER is a writer, aid worker, and PhD candidate. Her science fiction political thriller Infomocracy, was named one of the best books of 2016 by Kirkus Reviews, Book Riot, and the Washington Post. She is also the author of the sequels, Null States (2017) and State Tectonics (2018), as well as of short fiction appearing in WIRED, Twelve Tomorrows, Reservoir Journal, Fireside Fiction, Tor.com and others. Named Senior Fellow for Technology and Risk at the Carnegie Council for Ethics in International Affairs for 2015, she has more than a decade of experience in humanitarian aid and development. Her doctoral work on the sociology of organizations at the Institut d’Études Politques de Paris (Sciences Po) explores the dynamics of multi-level governance and disaster response using the cases of Hurricane Katrina and the Japan tsunami of 2011. 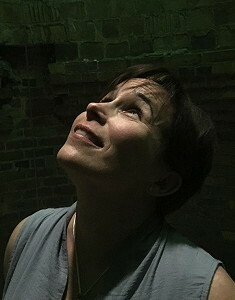 FRAN WILDE's novels and short stories have been finalists for three Nebula Awards, a World Fantasy Award, and two Hugo Awards, and include her Andre Norton- and Compton-Crook-winning debut novel Updraft, its sequels Cloudbound and Horizon, and the Nebula-, Hugo-, and Locus-nominated novelette The Jewel and Her Lapidary. Her short stories have appeared in Asimov’s, Tor.com, Beneath Ceaseless Skies, Shimmer, Nature, and the 2017 Year’s Best Dark Fantasy and Horror. Her poetry has appeared in Uncanny Magazine, Who Will Speak For America (Temple University), Articulate, and Poetry Baltimore, and her nonfiction appears in The Washington Post, iO9, Paste, Clarkesworld, and Tor.com. She holds an MFA in poetry and an MA in information architecture and interaction design. 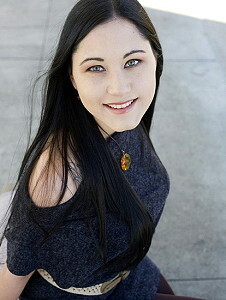 JACQUELINE KOYANAGI writes science fiction and fantasy featuring women of color who love other women, disabled characters, neuroatypical characters, and diverse relationship styles. Her debut novel, Ascension, was released from Masque/Prime books at the end of 2013, and landed on the 2014 James Tiptree Jr. Honor List. Her short fiction has appeared in anthologies by Haikasoru and Candlemark & Gleam. 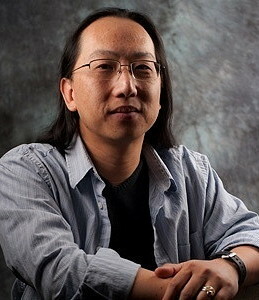 CURTIS C. CHEN - Once a Silicon Valley software engineer, Curtis C. Chen now writes fiction and runs puzzle games near Portland, Oregon. His debut novel Waypoint Kangaroo (a 2017 Locus Awards and Endeavour Award Finalist) is a science fiction thriller about a superpowered spy facing his toughest mission yet: vacation. The sequel, Kangaroo Too, lands our hero on the Moon to confront long-buried secrets.